Department of accountancy has organised a session for SY BCom students on Tuesday 31st July ,2018 on Bombay Stock Exchange awareness to give an idea to the students to invest early. The session was organised in mini auditorium at 11: 15 a.m. for 1 hour. 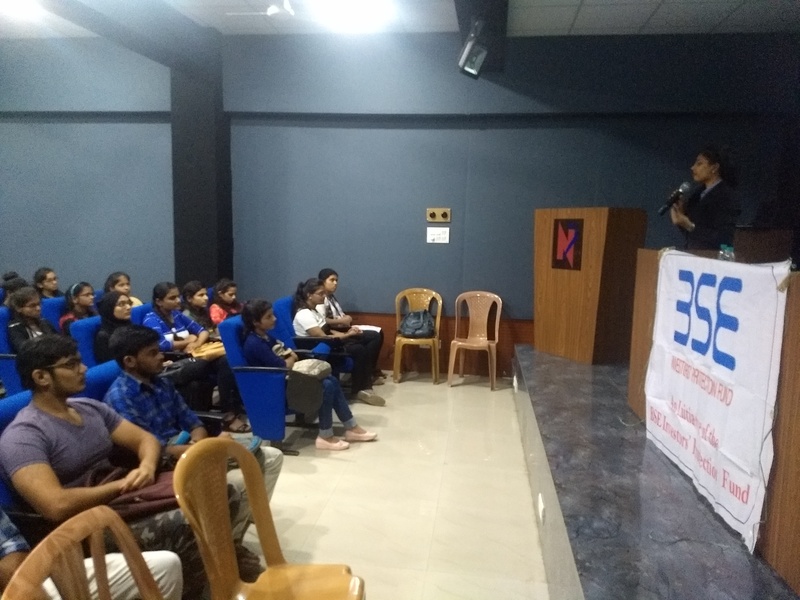 It was an informative session given by Ms. Krutika Jain. All aspects of mutual funds were informed to students so that they can plan their investments as soon. Students enjoyed the session and requested to keep these kind of sessions again for them.